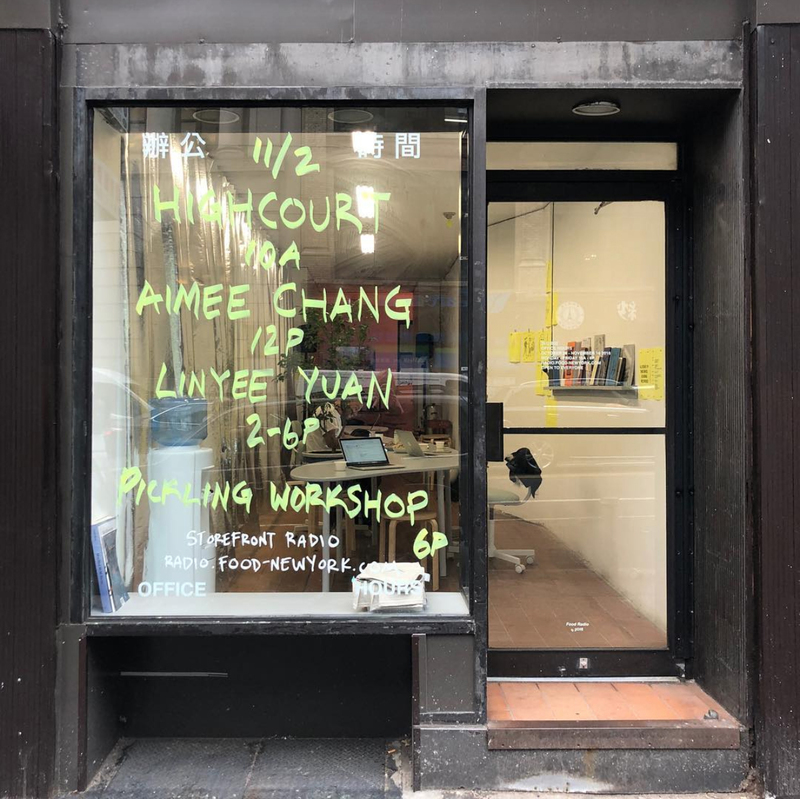 This past fall, Dong-Ping Wong of Food took over a storefront near his firm’s Chinatown office to launch a radical pop-up educational and hangout space he called Office Hours. 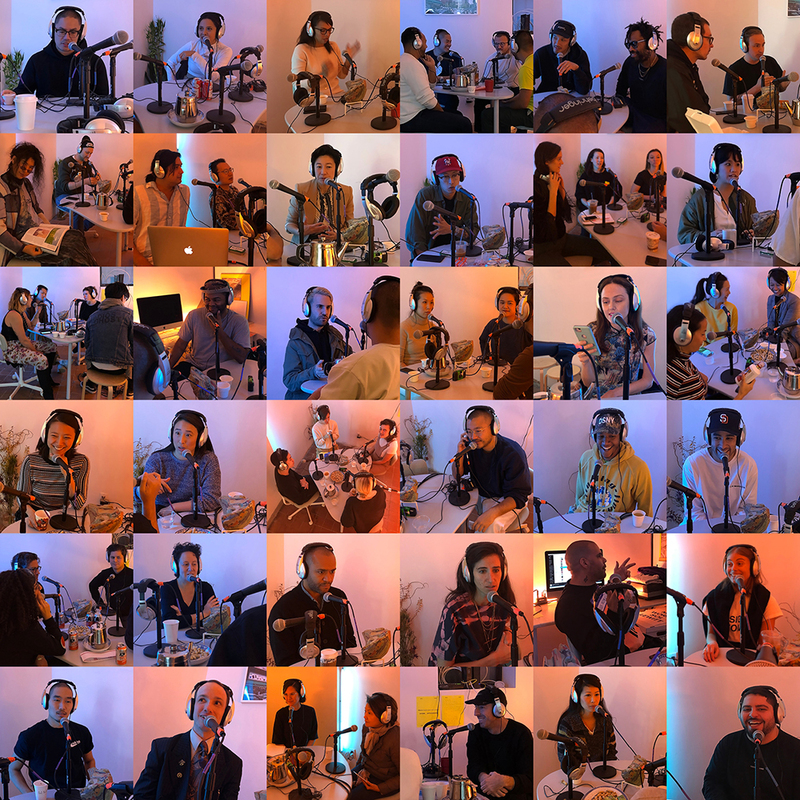 Along with workshops and other programming, Wong led an audio livestream, Food Radio, where he invited over 50 guests—artists, architects, designers, musicians publishers, and more—for nearly 40 conversations. Now, all the broadcasts have been archived and are ready to be listened to anytime on Food’s website. Office Hours’ mission from the get-go was about inclusion, education, and action across race, class, and age facilitated by an open door policy, workshops throughout the day, and Food designers going out to round up local kids and teens at the library. Hardly recorded in a isolated soundproof room, the Food Radio conversations took place in the back of the pop-up's narrow storefront space, and during the broadcasts you can hear Wong and his guests chatting with people coming in and out who might’ve come to say hi or listen live, or just to see what this new space on the street was all about. By bringing together a broad swath of architects, curators, politicians, and others, Wong wanted to show people, especially younger generations, that making a career out of creative work was possible and to highlight the experiences of creative people who local children might identify with. As New York state assembly member Yuh-Line Niou told Wong, she believes it's necessary to “tell young people not to self-select out,” that just because they haven’t seen people of their background—children of immigrants, people of color, people of various class origins—yet in fields that they might find interesting, or this is “the first time they’re seeing it,” that it remains possible for them to follow these paths, and, perhaps more importantly, make their own. Many of these guests really got their starts by daring to do something that no one else had done, Wong explained. “We've seen a lot of our guests using a lack of familiar model as a springboard to do something totally unique," Wong said. "Sometimes you just have to make stuff when nobody asked you to.” The expansive and radical proposition of Food is to make new possibilities for others. While all of the conversations were original and informative, some standouts include those with architects Toshiko Mori and Tei Carpenter of Agency—Agency, mother and daughter (though with their own, separate firms), for their first family interview; creative director Heron Preston, who has collaborated with Kanye West (Wong has, too) and Virgil Abloh; SO-IL co-founder and principal Jing Liu; Oana Stanescu, who ran Family with Wong; and Christopher Leong and Dominic Leong of Leong Leong. Many of the conversations were both seriously casual and casually serious, much like the whole project. Mori and Carpenter, for example, explored a range of topics: what they did that week; how they each got their start; how to learn from one another as architects across generations; how they’re approaching their careers differently; being Asian women in the field; the responsibility of architects to engage and communicate across disciplinary and political lines; the field’s need for a “diversification of moral practice;" and that perennially impossible problem many of us face: knowing when to say no. Since Office Hours has gone off the street and there’s no chance to drop in any more, these recordings offer an opportunity to connect, listen, and share across disciplines, time, and geography and are an imperative intervention to shift the conversation on architectural practice and, simply, remind everyone to believe in their own power and creative drive. 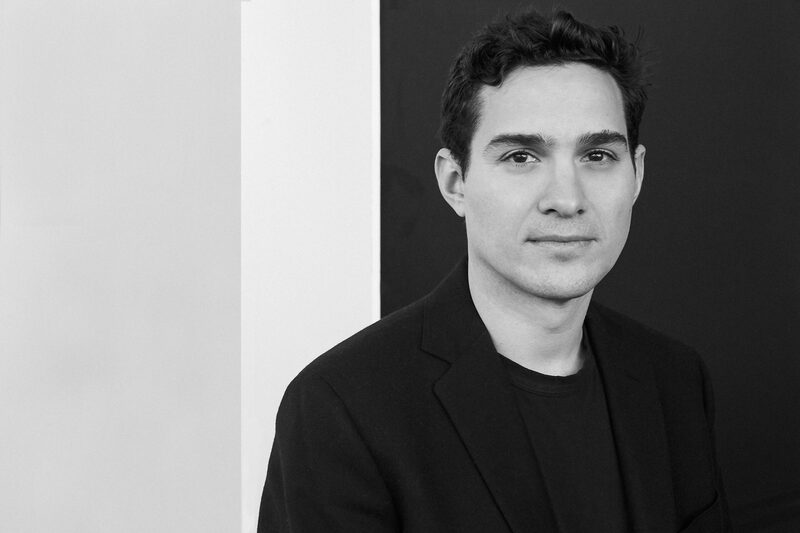 Ilias Papageorgiou has stepped away from SO-IL, after having been a partner at the New York–based firm for eleven years. During Papageorgiou's tenure, SO-IL developed itself into an internationally recognized design firm, completing projects in Paris, Seoul, and Milan, working with Google, Versace, Airbnb, the Guggenheim Museum, and other clients. 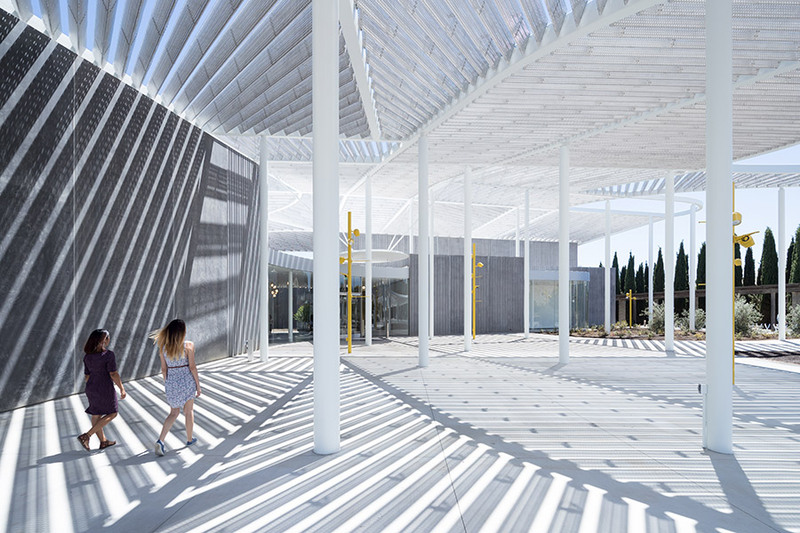 SO-IL's more recognizable projects include the Kukje Gallery, the Frieze Art Fair pavilion in Chicago, Pole Dance in New York, and the Jan Shrem and Maria Manetti Shrem Museum of Art in Davis, California. To add to this list of accomplishments, SO-IL published its "visual and textual manifesto," entitled Solid Objective: Order, Edge, Aura, co-authored by Papageorgiou in 2017. Jing Liu and Florian Idenburg, SO-IL cofounders, will be staying at the firm. Papageorgiou, an Athens-born architect, is a graduate of Aristotle University in Thessaloniki, Greece, and Harvard University's Graduate School of Design. Papageorgiou is an adjunct assistant professor at Columbia University's School of Architecture and Planning, having previously taught at Tulane and University of Thessaly in Greece. 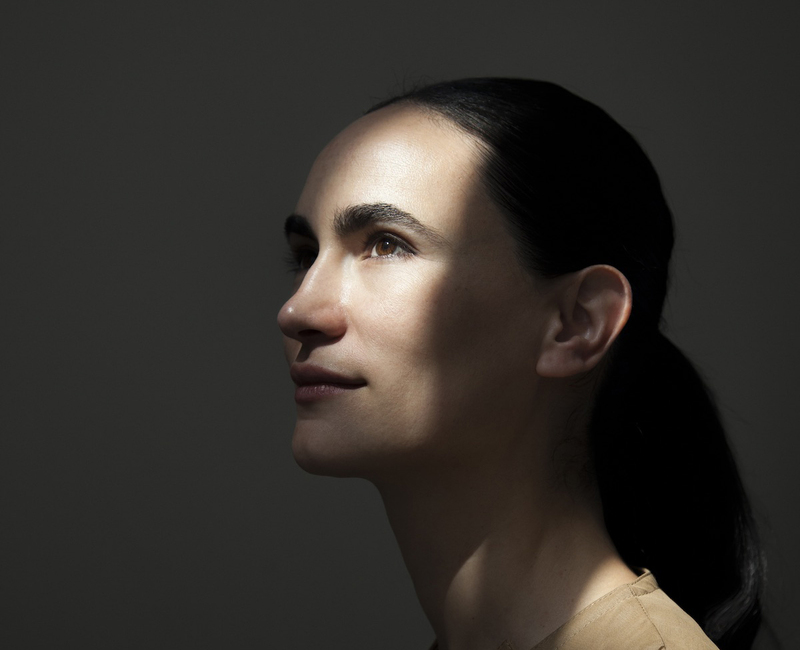 Papageorgiou is starting PILA, an Athens and New York–based architecture firm. Earlier this year, when architect Dong-Ping Wong branched out to start his own firm, he found himself going through name after name but none seemed to have the right ring. Finally, the word “food” occurred to him. Ridiculous at first, it wouldn’t leave his head, and so it stuck. Food, the firm, was born. Food, said Wong, is “something that everyone has an association with and a relationship to.” It is something people “can come together around.” Food as an architecture firm name, he points out, is unfortunately also very hard to Google. But that hasn't stopped them from working on projects for clients ranging from the Museum of Modern Art (MoMA) to Kanye and Kim Kardashian West. But it's their most recent project, Office Hours, where the name's magnanimous universalism really shines through. For Office Hours, Food has taken over a storefront on East Broadway in New York’s Chinatown for three weeks of programming centered around an online radio station (to be distributed in more permanent format later) as well as various community projects and events. All manner of creative people, like chef Angela Dimayuga, artist Jon Wang, designers Chen Chen and Kai Williams, SO-IL partner Jing Liu, DJ Venus X, and creative director Heron Preston have come through and spoken on the air. As the website for Office Hours notes, the events, like actual office hours, also serve as an “open invitation.” People can come in and listen, and youth are particularly encouraged. In fact, Food members have stopped by the public library on more than one occasion to invite kids and teens in and people have come in off the street to do work or check out the "reading room." Office Hours is committed to promoting people of color and those who live in the largely-immigrant neighborhood. As the project description notes, “In New York City, one in four Asian Americans live below the poverty line…Unsurprisingly, many young people that grow up in this environment self-limit what they see themselves being able to do.” The purpose of Office Hours, in part, is to expand this range of vision and imagination by introducing youth to the whole array of future possibilities for themselves. The space, which is laid out with some wiggly custom-made gray plywood tables held up by Ikea desk legs, has hosted happenings for all ages—from drawing lessons to impromptu happy hours. Office Hours continues through November 16 and all are invited to intend. The schedule and the live stream are available on Food's website. This fall, the Cutchogue New Suffolk Library will be hosting an exhibition on the modernist homes sweeping North Fork, a beach community on New York's Long Island. 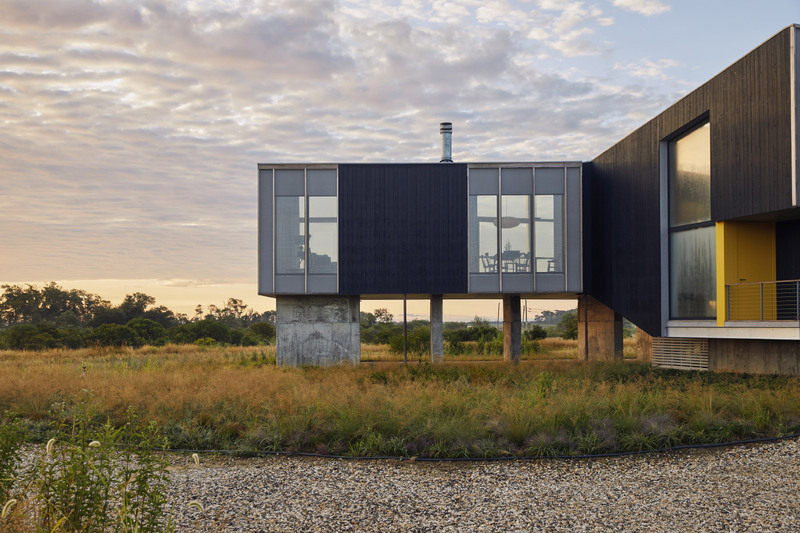 A New Wave of Modern Architecture on the North Fork will catalogue the work of six architects and firms who have completed modernist projects across the enclave. Columbia art history professor Barry Bergdoll previously curated Frank Lloyd Wright at 150: Unpacking the Archive at the Museum of Modern Art. A New Wave of Modern Architecture on the North Fork will open with a wine and cheese reception on September 7 and will run through September and October at the library’s rotating exhibition space, the Upstairs Gallery. The architects featured will include SO-IL, Shenton Architects, Joseph Tanney and Robert Luntz from Resolution: 4 Architecture, who specialize in prefabricated modern homes, William Ryall of Ryall Sheridan Architects, Richard Gluckman of Gluckman Tang Architects, Allan Wexler, and John Berg of Berg Design Architecture. New York design firm 2x4 will be designing the exhibition, and the Friends of the Cutchogue New Suffolk Library, a group of patrons and businesses who support and help program events at the library, will be hosting the event. While the bulk of the exhibition will cover work in the area designed after the year 2000, homes by Tony Smith and the sharply-angled houses of Charles Moore will be mentioned on a text panel at the show's entrance. Exhibit Columbus has announced the winners of the 2018-2019 J. Irwin and Xenia S. Miller Prize competition. The five winning firms will be featured in the Docomomo US and Exhibit Columbus 2018 National Symposium, titled Design, Community, and Progressive Preservation, taking place September 26 through 29. Firms will then return on January 19 to present their design concepts to the community. Each firm is tasked with constructing site-responsive installations that interact with Columbus’s midcentury modern heritage, with the final works opening to the public on August 24, 2019. This is the second year that the Miller Prize has been awarded. Here are the five winning firms: Agency Landscape + Planning With work that ranges from the Chicago Riverwalk to a two-year examination of the post-Hurricane Sandy landscape, Cambridge-based Agency has a deep commitment to ecological and social mindfulness. Agency is currently leading the White River Vision Plan, a year-long strategic plan for redeveloping 58 miles of southern Indiana river. Bryony Roberts Studio New York-based Bryony Roberts Studio uses design to bring intangible heritage and social histories to contemporary audiences, often through distinctive collaborations. As a participant in the 2015 Chicago Architecture Biennial, Bryony Roberts brought the South Shore Drill Team to Ludwig Mies van der Rohe’s Federal Center for an electrifying performance that used careful choreography to mirror the lines of the iconic modernist plaza. Frida Escobedo Studio Fresh off her commission to design the 2018 Serpentine Pavilion in London’s Kensington Gardens, Mexico City-based Frida Escobedo creates sophisticated structural forms using vernacular materials and methods, including concrete block, brise-soleil, and post and beam. MASS Design Group Based in Boston, and Kigali, Rwanda, non-profit MASS Design Group believes that architecture is never neutral, and that it has the power to heal. The firm’s work includes both research and design. This spring MASS Design Group unveiled the National Memorial for Peace and Justice in Montgomery, Alabama. SO-IL With work that creates “structures that establish new cultures, institutions, and relationships,” New York-based SO-IL created L'air pour l'air for the second Chicago Architecture Biennial in 2017, a project that brought the firm to the Garfield Park Conservatory, where they encased an ensemble of wind instrument players in air-filtering mesh enclosures, designed to clean the air through breathing. 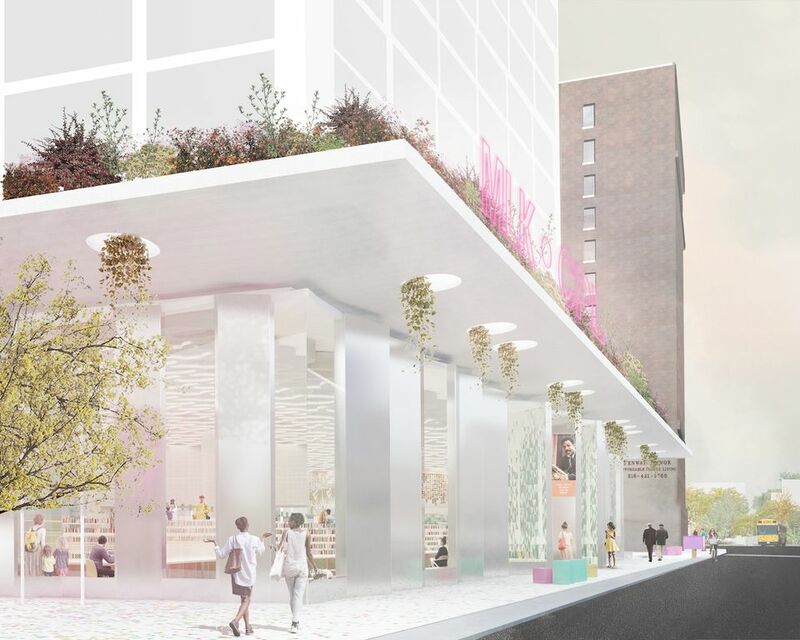 Brooklyn-based SO-IL and Cleveland’s JKurtz Architects have been chosen to design Cleveland’s new Martin Luther King, Jr. branch of the public library system. The team was selected by the Cleveland Public Library (CPL) Board of Trustees on June 15, beating out other big-name teams including MASS Design Group with LDA Architects, and Bialosky Cleveland with Vines Architecture. The winning scheme is laden with design flourishes that nod to King’s legacy and seek to bring people together. “We looked to Dr. King’s words for our inspiration. The table of brotherhood led us to our vision—a table large enough to host all communities,” said co-founder of SO-IL Jing Liu during their presentation before the board. “What we made here is not a static symbol but a place where people come together and interact.” The “table of brotherhood,” a metaphor from King’s famous “I Have a Dream” speech, will be physically embodied at the new branch by a large, multi-use table at the heart of the team’s plan. A staircase up to an elevated area will reference King’s “I’ve Been to the Mountaintop” speech and patrons can find the library’s future collection of Anisfield-Wolf books; those that recognize racism and celebrate diversity. A “virtual garden,” interactive “Freedom Map” podium, a “Living Wall” that projects rearranging words, and a “Virtual Garden” are all in the works for the new museum. “SO-IL + JKurtz proposed a functional, beautiful space that speaks to Dr. King’s vision of social justice and equality. 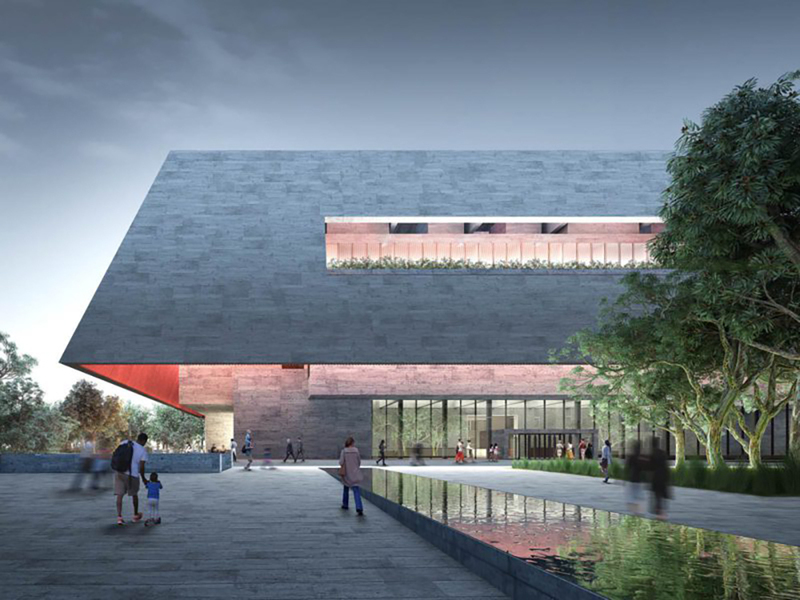 The Board found the design inventive and creative, with many features that can make this branch world-class,” said Maritza Rodriguez, President of the Cleveland Public Library Board of Trustees in a statement. The city is now in negotiations with the architectural team, and no construction date or budget have been made public yet. The old Martin Luther King, Jr. library will stay open until the new branch is finished. 2017 Best of Design Award for Civic - Cultural: Jan Shrem and Maria Manetti Shrem Museum of Art Architect: SO-IL with Bohlin Cywinski Jackson Location: Davis, California Defining the museum as a landscape of cultivation, the design of the recently established Manetti Shrem Museum at the University of California, Davis, captures the Central Valley’s spirit of optimism, imagination, and invention. “Cultivation” has a divergent etymology, on one hand rural, on the other, urban-bourgeois. The overarching “Grand Canopy” seeks to embrace both contexts, extending a rolling form patchworked with aluminum beams over both site and building. An environmental silhouette, the design provides identity and awareness to multiple constituencies. "The project makes me optimistic for architecture in the U.S. —intelligent and rigorous architecture that is also delightful and humanist at the same time. I love how the building connects an intimate experience to the scale of the landscape around it." —Eric Bunge, principal, nARCHITECTS (juror) Contractor: Whiting-Turner Structural Engineer: Rutherford & Chekene Mechanical Engineer: WSP Lighting: Fisher Marantz Stone Canopy Engineer: Front Honorable Mention Name: Chrysalis Designer: MARC FORNES / THEVERYMANY Place: Columbia, Maryland Chrysalis is an amphitheater, but it is first a pavilion in a park, a tree house, and a placemaking public artwork, ready to be activated at any moment. 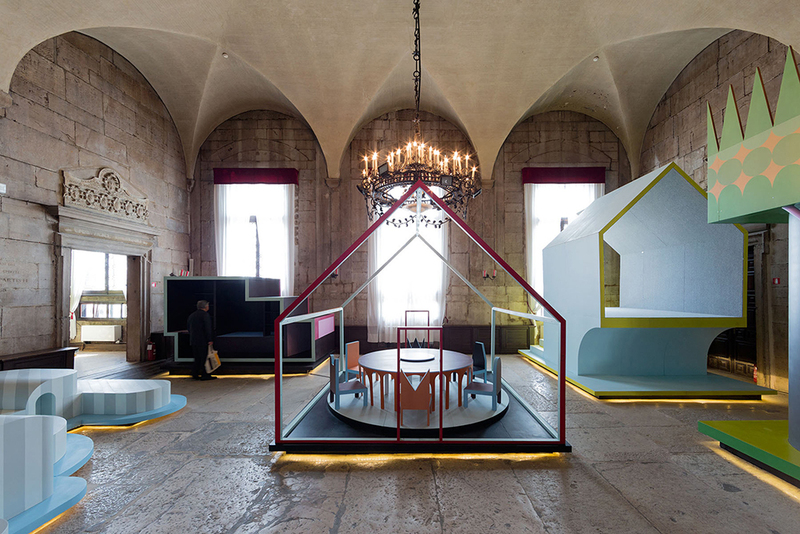 Here, temporary occupations are staged under a series of cascading arches that vary in size and function: a structural system that gives form to play. At The Architect’s Newspaper, we’re plain addicted to Instagram. Sure, we love seeing Brutalist concrete through “Inkwell” or “Ludwig” filters, but there’s also no better place to see where architects are getting their inspiration, how they’re documenting the built environment, and where they’ve traveled of late. Below, we bring you some of the best Instagrams of this past week! (Also, don’t forget to check out our Instagram account here.) A new exhibit on the historical iterations and potential of scaffolding went up at the Center for Architecture, and Shohei Shigematsu of OMA was the exhibition's lead designer. https://www.instagram.com/p/BZmIjN-hQh0/?taken-by=centerforarch A short hop across the East River, the Noguchi Museum is gearing up for the October 25 opening of Gonzalo Fonseca's architectural sculptures, many carved from stone. https://www.instagram.com/p/BZ1f0wpHH1F/?taken-by=noguchimuseum SO-IL's Florian Idenburg paid a visit to a panopticon prison in Haarlem, Netherlands called Kijk in de Koepel. His visit was timed perfectly with two news bits that had us chuckling this week: One upsettingly real (Jeremy Bentham's literal severed head displayed in an upcoming exhibit), and the other pure satire (meet Synergon). 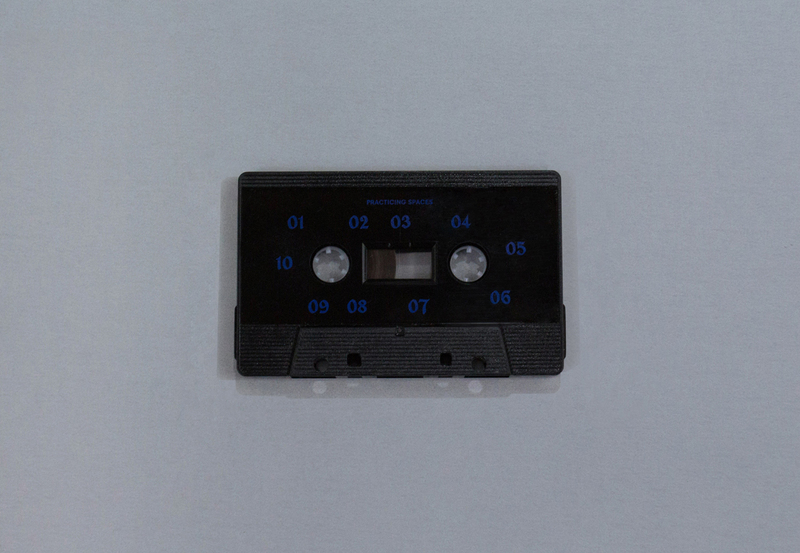 https://www.instagram.com/p/BZoAOCVn8AC/?taken-by=florianidenburg Andrés Jaque, founder of Office for Political Innovation, posted the opening of his new exhibit titled Transmaterial Politics, which opened at Tabacalera Madrid on September 28. Poppy and probing as always. https://www.instagram.com/p/BZpq6FJAz4E/?taken-by=andres_jaque MAD Architects threw us back to their Ordos Museum in inner Mongolia, a mass of organic and rigid forms cloaked under an undulating shell of metal tiles. Without wanting to, we will imagine it springing to life at night and prowling the Gobi Desert under a shrouded moon, much like Gehry museums (wherever they live). 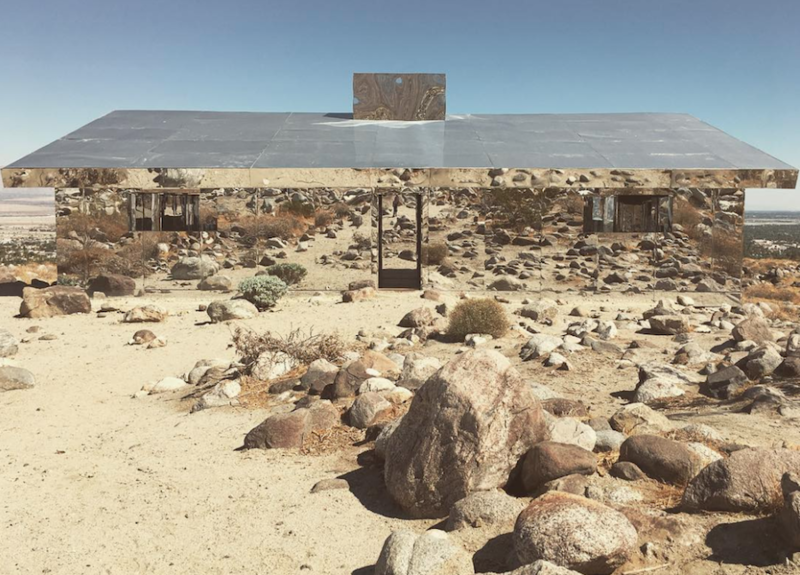 https://www.instagram.com/p/BZnkPdyFNdq/?taken-by=madarchitects Geoff Manaugh, author of BLGBLOG, visited the extremely Instagrammable Mirage by Douglas Aitken in the California Desert which is clad with mirrors both inside and out. https://www.instagram.com/p/BZ4WEW5j_M1/?taken-by=bldgblog The DesignPhiladelphia conference shared their city's redeveloped Navy Yards, landscaped by James Corner Field Operations. https://www.instagram.com/p/BZy-YJzF9WA/?taken-by=designphilly This last one is short and sweet, and we tell you this only because of the crushing guilt that would consume us otherwise. Winka Dubbeldam ate a grasshopper. https://www.instagram.com/p/BZ0lE02BVh9/?taken-by=winkadub That’s it for today, hashtag archilovers and quote-on-quote gallerinas. See you next week for more drama. When someone tells you that they won an international competition in Paris along the Bastille axis on a site at the junction of Canal Saint Martin and the Seine River, images of Gehry’s Fondation Louis Vuitton, I.M. Pei’s Pyramide du Louvre, Bernard Tschumi’s Parc de la Villette, or Jean Nouvel’s Institut du Monde Arabe come to mind. However, New York–based architects SO-IL took a much different route and made something almost as non-“starchitect” as possible. Rather than leveraging the site into a spectacular, iconic object-building, the architects have deferred to the forces—cultural, economic, and environmental—of the Place Mazas site, resulting in something quite opposite of the aforementioned buildings. Not only did the team from SO-IL, led by partner Ilias Papageorgiou, decide against making a flashy building, they didn’t even max out the site financially, which they described as a “risk,” but one that paid off as they won the competition. “We are very excited to work on such a unique site in Paris. Our proposal suggests a dynamic approach in city making, one that considers history as well as the complexity of today’s conditions while allowing room to accommodate future transformation,” said Papageorgiou. 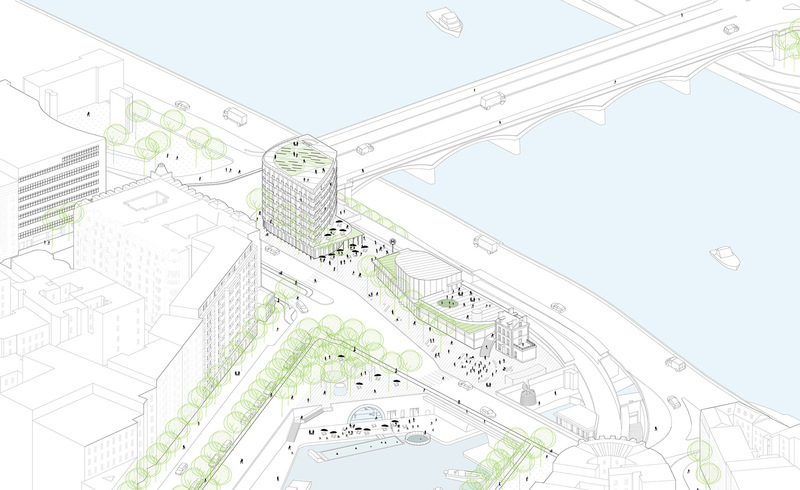 Titled “L’Atelier de l’Arsenal,” the proposal is a nexus of future urban development and part of the Reinventer La Seine, a long-term urban design transformation of the river. The designers wanted to make it a flexible place that could be further transformed. The proposal features co-living and social housing units in a seven-story wood structure that doesn't use all the allowable massing on the site, but rather divides the site in two, deferring to the Hausmannian axis and leaving the rest of the site open. On the other half of the plot will be public spaces and another smaller, temporary building that will accommodate facilities including public co-working spaces, a fabrication lab, and a multi-purpose room for cultural activities. The site will also house Aurore (a homeless facility already established on the site), as well as space for the Yacht Club of Bastille and new water-front activities, like a public swimming pool and pools for biodiversity research and water quality monitoring. All of these programmatic features can be rethought after 12 years, as the public zone could be returned to the city for another use. It could be that this site will be incorporated as part of the pedestrianization of the streets along the river, and a possible initiative to create a swimmable river in the future. The project was a collaboration of Paris-based Laisne Roussel and French real estate developers REI Habitat and Icade. “The design of the Atelier de L’Arsenal is motivated by our conviction that architecture is everyone’s business. In our view, urban resilience and the collective practices developed for and by users are two major challenges for the cities of tomorrow,“ said Nicolas Laisné and Dimitri Roussel, partners of Laisne Roussel.